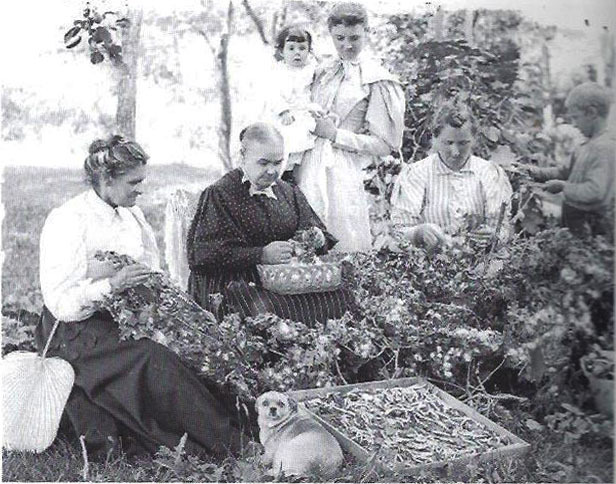 FEATURE — When it came to the early days of Southern Utah’s Dixie, silk production – or sericulture – seemed a natural fit. Mulberry trees grew well and the cost was minimal. 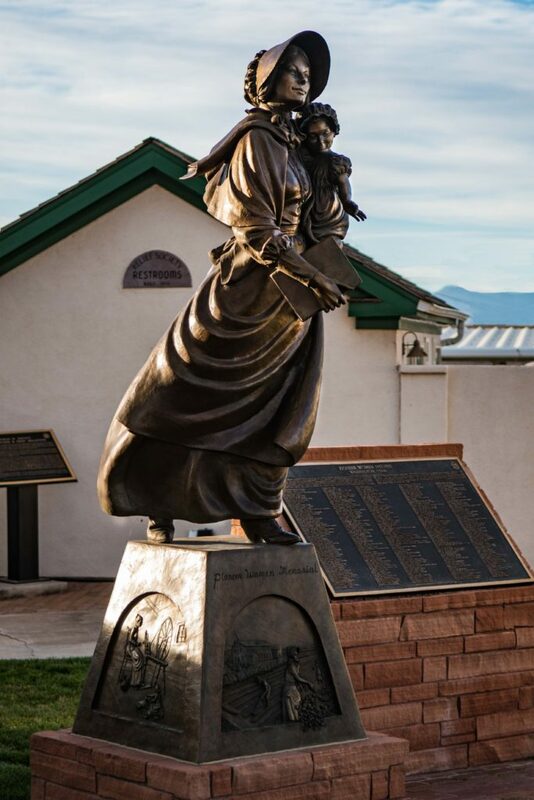 As an added advantage, production did not take up additional land or extra hands that would be better suited for hard labor; it could be assigned to one of the world’s oldest female service organizations, the Relief Society of The Church of Jesus Christ of Latter-day Saints. Southerners were first called to Dixie to grow cotton. The first 10 families arrived in 1857, led by Samuel Adair. They called the place “Adair Springs” but later changed it to “Washington City” after former President George Washington. 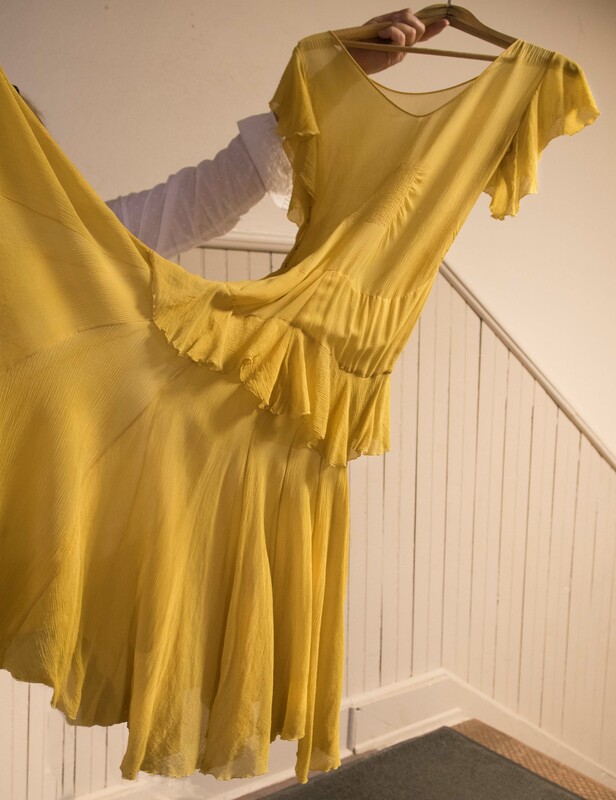 While cotton may have been the draw to the southern part of the territory, silk was a subject close to the heart of Brigham Young, then president of the LDS church. Even though he was born a poor American in Vermont, Young served a 20-month mission in Manchester, England, from 1840-1841. There he was exposed to the many silk-weaving looms and silk weavers; the Huguenots who emigrated from Lyons, France, to England in order to escape religious persecution in the 16th and 17th centuries continued silk production. 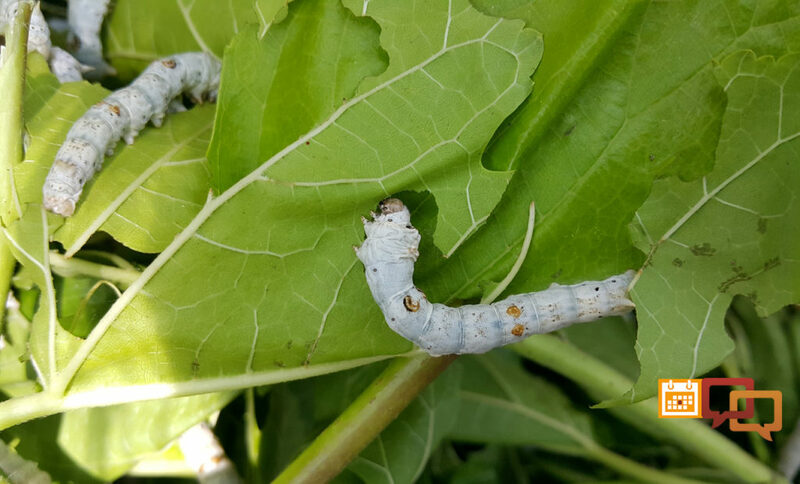 According to silk legend, Greek Emperor Justinian encouraged two monks to steal some silkworm eggs out of China in the 6th century. The monks also pinched a few seeds of the mulberry tree. Prior to that, the Chinese had carefully guarded the secret of silk for ages. According to Chinese records, the technique was discovered by Si-ling-chi, wife of the “Yellow Emperor” Huang-ti, in about 2700 B.C. By some accounts, she discovered the secret after a silkworm cocoon fell into her cup of tea, and as she pulled it out, she realized she could unravel its exquisite thread. A moth hatching from a cocoon destroys the thread. Therefore, to harvest silk, at about six weeks and 3 inches long, the worm in the cocoon has spun its own coffin. The process of placing the cocoon in boiling water not only kills the pupae but softens the binding agent sericin so that the filaments may be unwound. From there, raw silk strands are twisted together until a fiber of sufficient strength for knitting or weaving is produced. Different twisting methods produce a different type of thread; crinkly fabrics are made with crepe, while sheer cloth is made with single thread. Spun silk is comprised of broken filaments that have been processed into a yarn. In the mid-1850s, Young imported 100,000 mulberry trees from France. 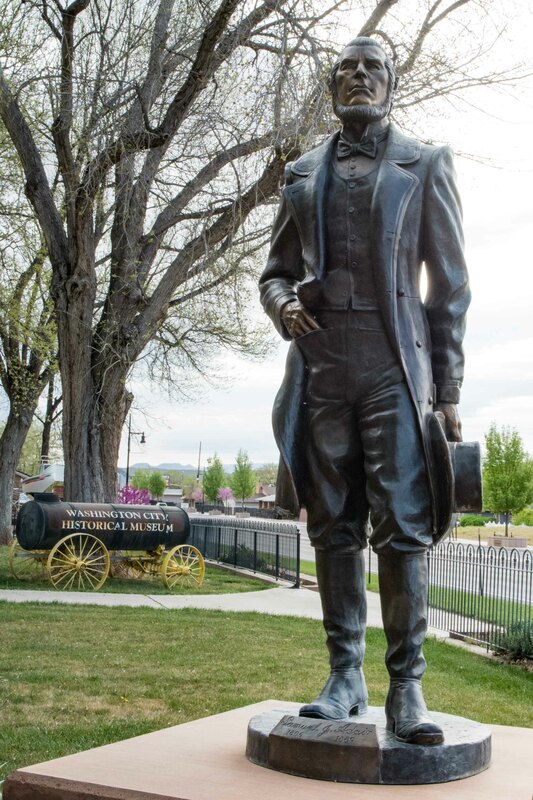 He planted them up and down the streets of Salt Lake and brought them to St. George in the 1860s. He dispersed trees all along the way and also planted them at his winter home. As she traveled and spoke, Zina Young handed out small mulberry leaves about an inch in diameter covered with tiny worms. The women took them home and began feeding them. The caterpillars molted and cast their skins in about 10 days. 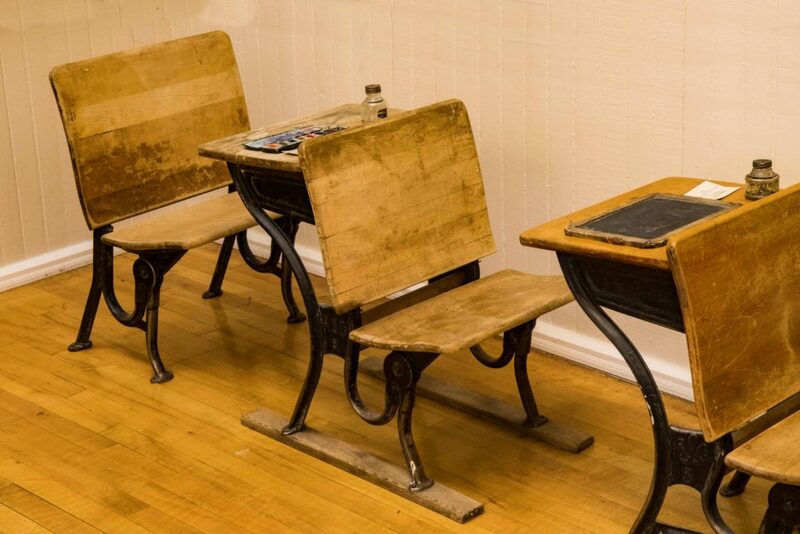 They grew by leaps and bounds. With insatiable appetites, they devoured such quantities of leaves that women and children could scarcely supply. 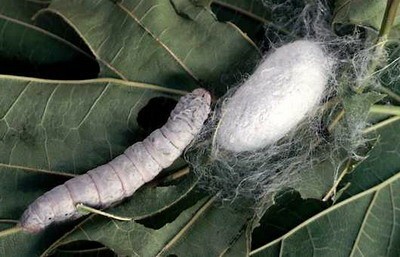 Many people began growing silkworms more out of curiosity than desiring to make cloth. Those who didn’t have mulberry trees had to gather from neighbors, and some fed silkworms lettuce, although lesser-quality silks are made from silkworms that might be fed Osage orange and lettuce, Larson said. 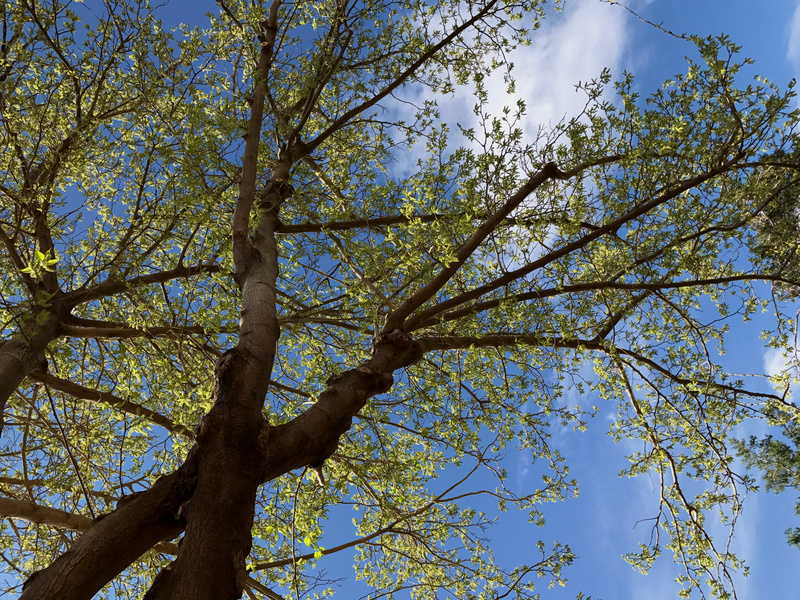 In 1869, John D. Lee, a busy and enterprising pioneer planted a grove of several hundred mulberry trees enclosed with a stone fence around a half-acre at his Washington home. He figured he could produce four or five crops of cocoons because of the long warm season. He kept the trees hedged so women and children could pick the leaves without having to climb the trees. As they are today, priorities of the Relief Society were relief of the poor and destitute and care of widows and orphans. The women conducted business and taught classes, in addition to making clothing, rugs and quilts. The women’s service projects required more space than a room in a church building could offer; therefore, the women built their own buildings, raising money sometimes by bake sales and dinners. However, in the settlement of Washington city, the women of Relief Society also engaged in commercial, agricultural and even industrial projects, Larson wrote. 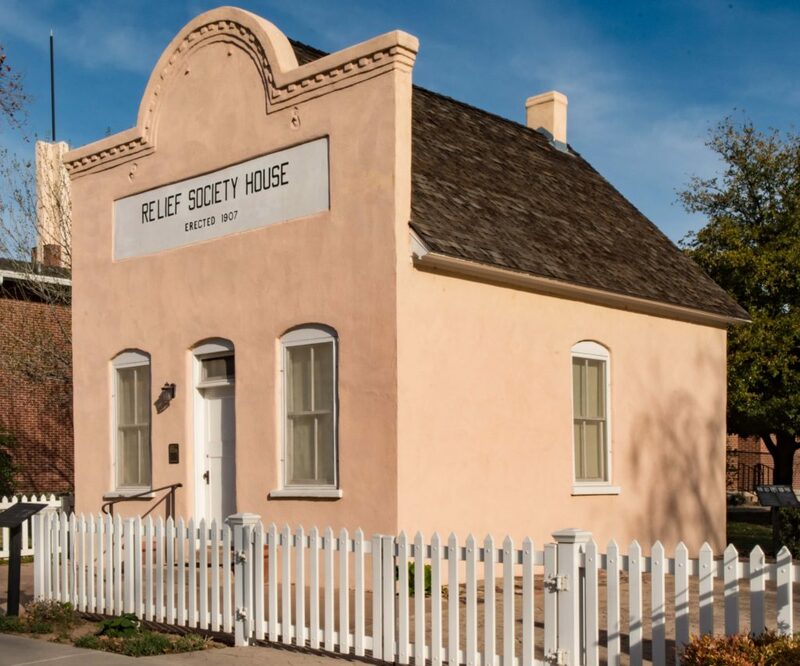 The completion of the Washington Relief Society Hall in 1875 provided a meeting house, as well as a co-op store – Zions Co-op Rio Virgin Manufacturing Company – post office and a place where the women laid out the dead, since there were no undertakers at that time. The Washington community continued to grow silkworms, and before long the silk association had thousands of silk cocoons and didn’t know exactly what to do with them. 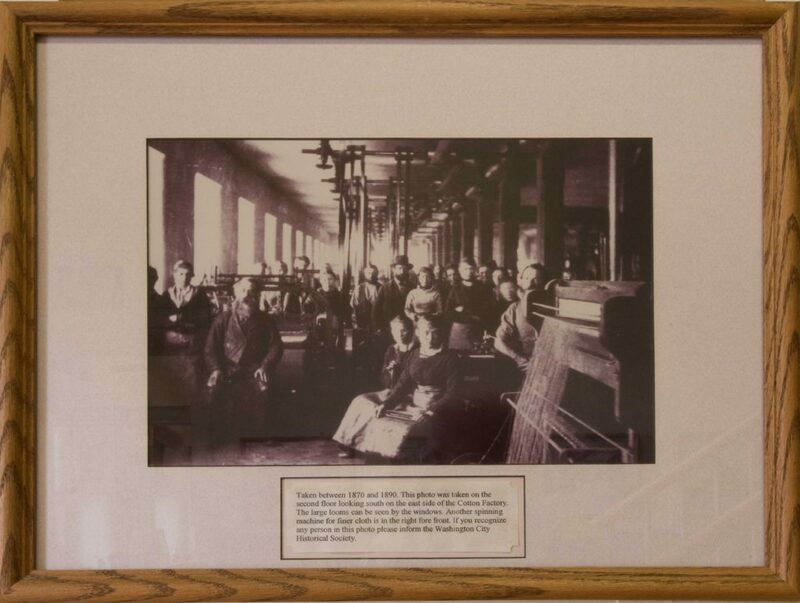 Armand Hof, an expert in reeling, spinning and weaving silk, came to Washington during the 1880s to take charge of weaving at the Washington Cotton Factory. 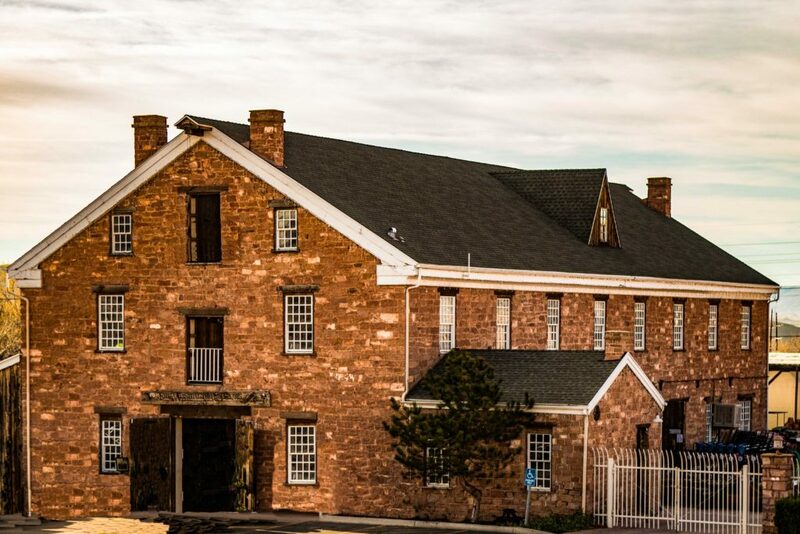 The factory made a place for silk looming and eventually became part of the Zion Co-op Mercantile Institute – or ZCMI – system, which served more than 150 communities in Utah with retail commodities. 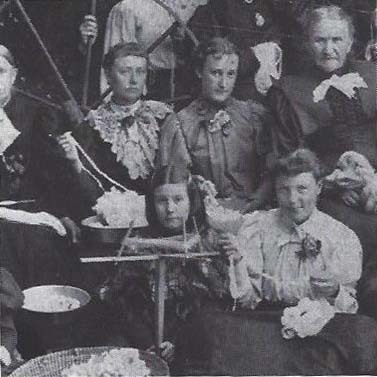 Many pioneer women made beautiful silk dresses from homegrown silkworm thread, and an American flag made of Utah silk was flown at the 1893 Chicago World’s Fair. However, silk production came to an end in 1905, largely as a result of the massive quantity of cocoon necessary – approximately 2,500 – to make just one pound of silk. This, combined with the price the state Legislature authorized the newly formed Utah Silk Commission to pay for the silk, conspired to keep Southern Utah sericulture from being profitable. 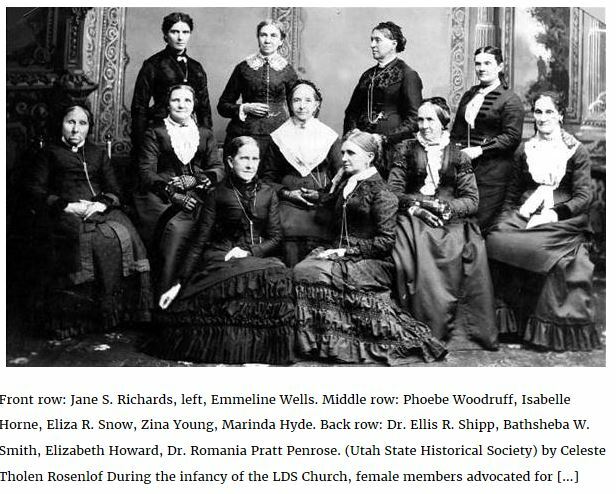 But beyond the potential profits, the most significant yield of the silk home industry was the spirit of adventure, cooperation, obedience, perseverance and accomplishment of the thousands of participating Relief Society sisters. The Washington Relief Society Hall is the only remaining late 19th century building in Washington City and the church’s oldest standing Relief Society building. 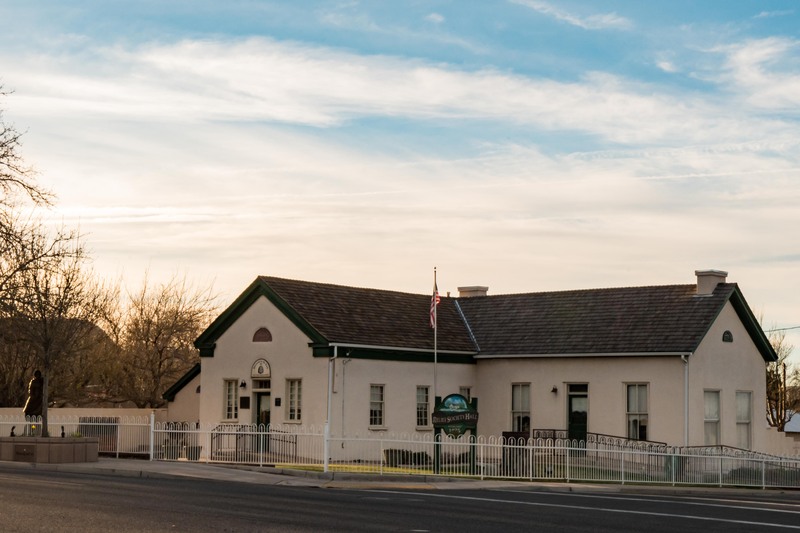 Located at the corner of 100 West and Telegraph Street, this small building represents Greek revival architecture, the first allusion to high style used in early Utah. It was made of Utah adobe, an economical and available building material. The changing tastes in building style favored Victorian, causing most other early buildings to be lost. From 1972-75 the Relief Society women ran an official outlet of Zion’s Co-operative Mercantile Institution. Today, the building and grounds may be rented and used for social events. For scheduling and rental of this facility, contact Don or Rebecca Young at telephone 435-656-1590. 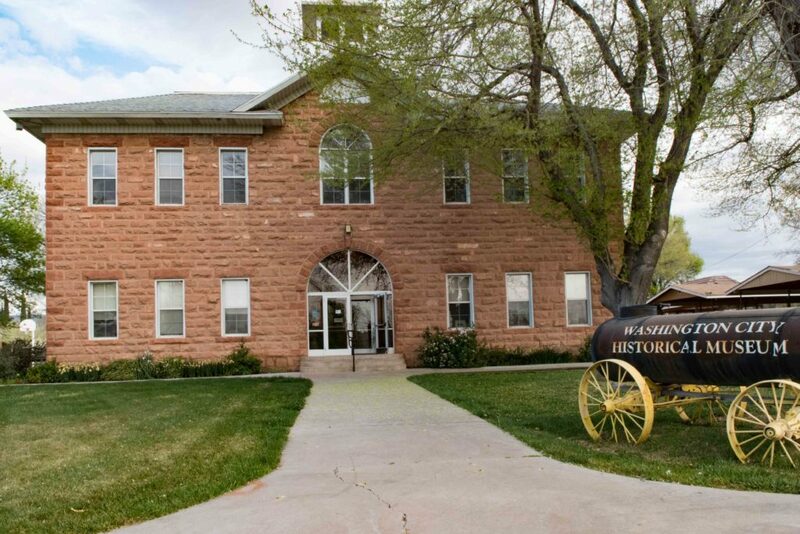 Washington City Museum is located on the northeast corner of Telegraph Road and Main Street. It is open from 9 a.m. to 5 p.m. Monday, Tuesday, Wednesday and Friday, and from 10 a.m. to 3 p.m. Thursday and Saturday. 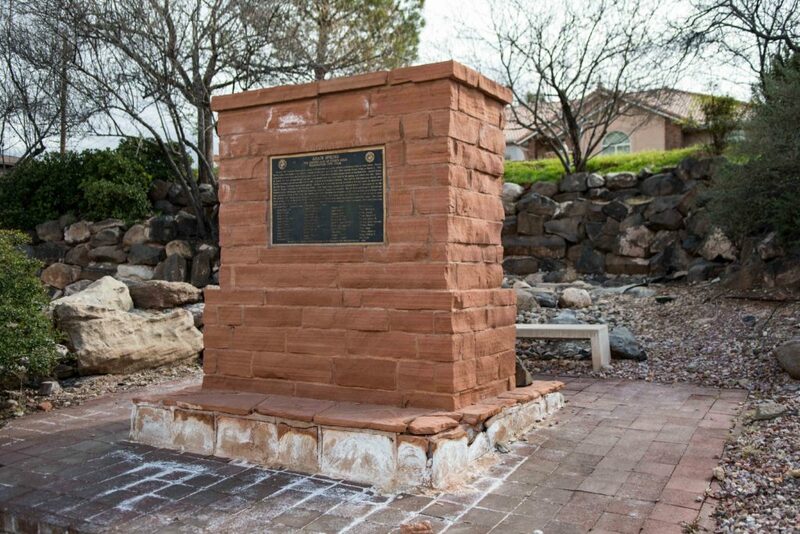 Adair Spring Monument is located at 120 N. 200 East and commemorates the original settlers who founded Washington City. The Cotton Factory and Mill – now Star Nursery – is located at 385 W. Telegraph Rd.